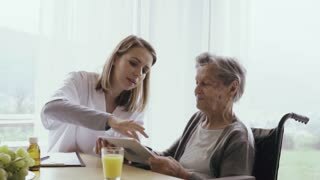 Search Results for "senior woman tablet"
HD clip of a senior woman pouring prescription medication tablets from a pill bottle into her hand and taking them, possibly taking a higher dose than necessary. Prescription drug abuse concept. Woman opening her palm and we see set of tablets. 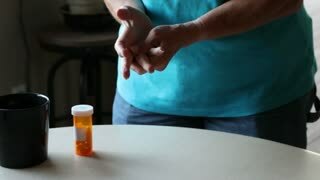 Many pills on senior woman palm. Closeup shot. 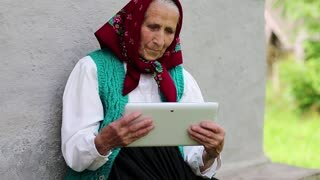 Happy senior woman with tablet in office. Elegant smiling middle aged businesswoman with tablet computer. 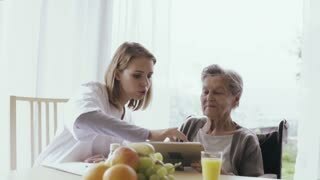 Senior women and tablet. Three ladies at cafe table. Find friends in social network. 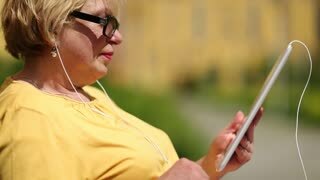 Senior woman with tablet. 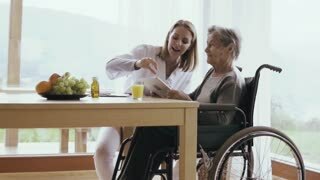 Elderly female indoors. Get used to new technologies. Senior women holding tablet. Cake and coffee on table. New os is much better.